If you drop by the highrise building at 701 Fifth Avenue in Seattle, you will find two Starbucks stores. 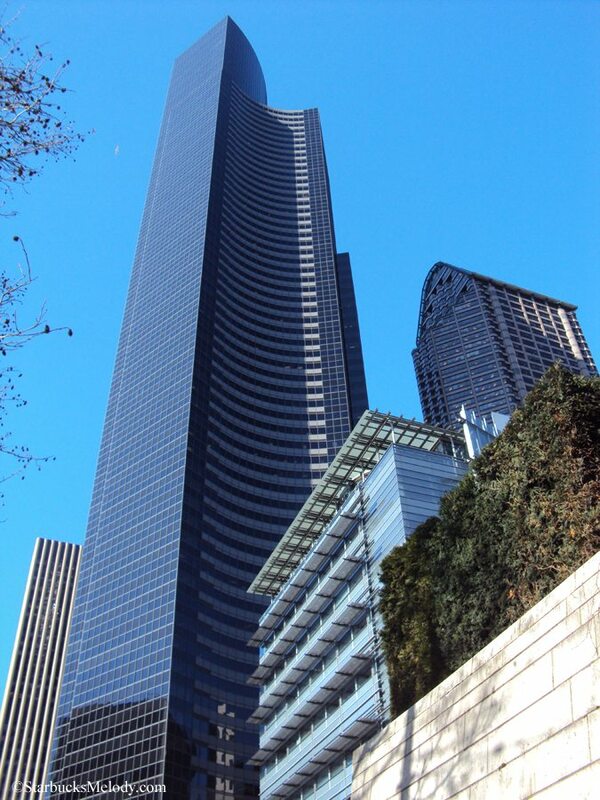 The Columbia Tower is Seattle’s tallest building and stretches from Columbia Street to Cherry Street, and from Fourth Avenue to Fifth Avenue. There is an observation deck on the 73rd floor, which is open to the public. (It’s good to note though, it’s not free. As I recall, admission to the 73rd floor is about $12.00). One Starbucks is on the bottom level of the building, with an entrance on the corner of Fourth Avenue and Cherry Street. 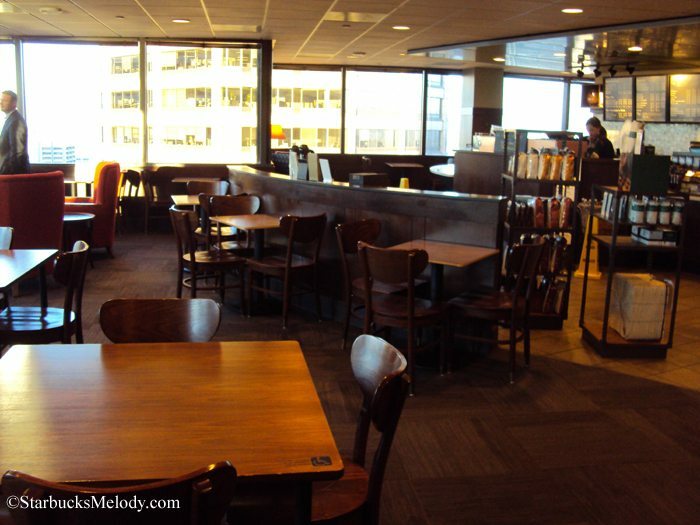 The ground floor Starbucks has been there since 1986, and is numbered store 101. 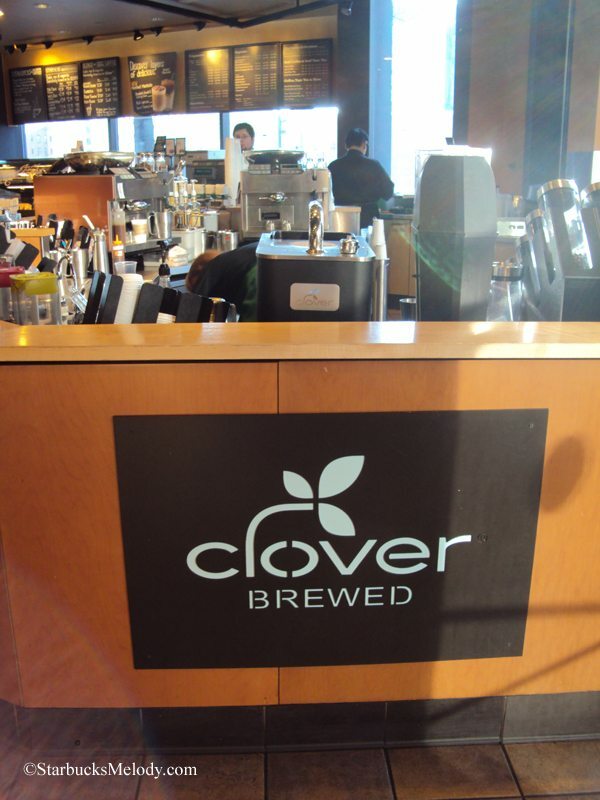 It is a Clover store, and you will get a beverage made by passionate partners. The store itself has an enormous amount of history. The current store manager is Kerrie – look for her and say a big hello to her. She is very friendly! 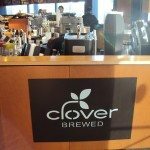 I have written before about this store, and its unique history as Howard Schultz’s first concept store. Starbucks #101 is even mentioned in the book Pour Your Heart Into It. (Please use the Amazon.com widget at the very bottom of this page. ;)) I highly recommend that you read the previous blog post on Starbucks store #101. 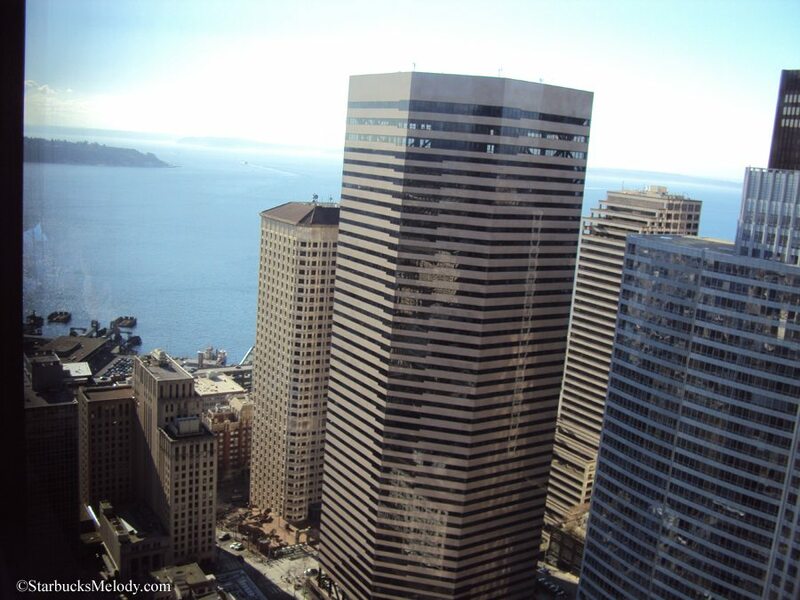 This store first opened in September 2006, and is located on the 40th floor of the Columbia Tower. It is open to the public!! If you’re a tourist in Seattle, and you want to have a chance to get some free views of Seattle from a highrise perspective, this is it! 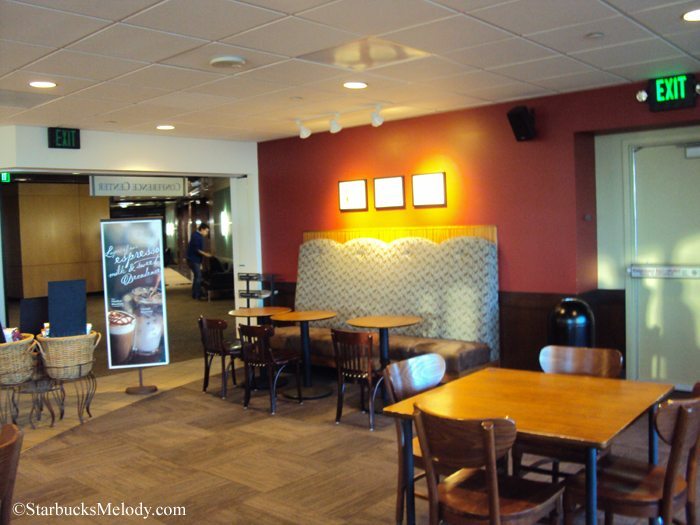 This is a must-visit Starbucks. 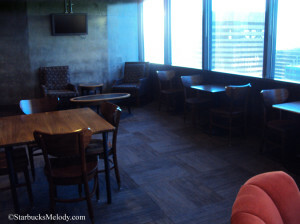 It’s a large store with lots of seating, with million dollar views. I dropped by on March 8, 2013, and took some pictures. My little point-and-shoot camera does NOT do this store justice! Ok Melody you have to bring these stores and the views here! LOL! 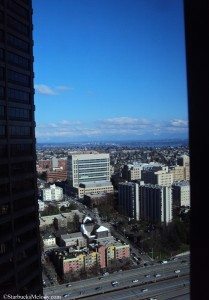 I remember the views of Seattle. These stores seem like gems. Only open during the week because that area is quiet on the weekends? Have they ever tried being open on weekends? Very nice blog post. Two in one bldg, and I can’t get one Corporate Store in my neighborhood. 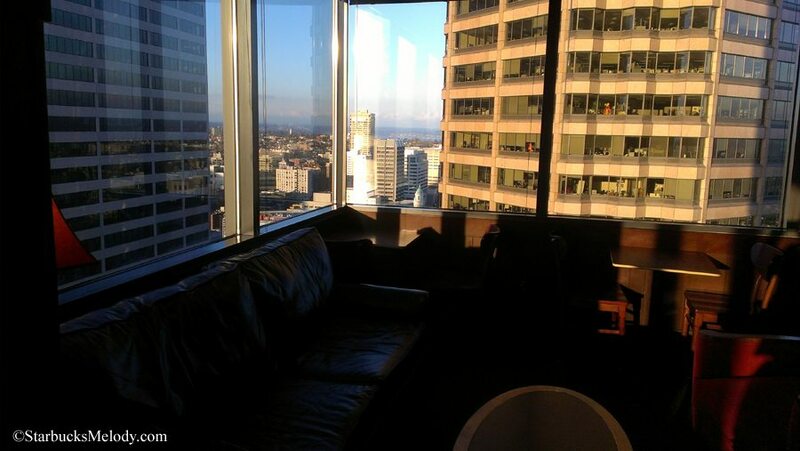 I’m really starting to be envious of other people, especially those in Seattle. I know this is off topic, but did anyone else receive a digital coupon code for 50% off an a handcrafted espresso beverage (expires on the 19th)? Melody, why must you tempt me so?! Those views are beautiful & just the fact of relaxing in a Starbucks that high in a monumental building, just gets me so wanting to go there! Very unique, if I’d lived in Seattle, I’d want that that specific location to be the regular one I always go to. Heck, I’d even work there, lol. 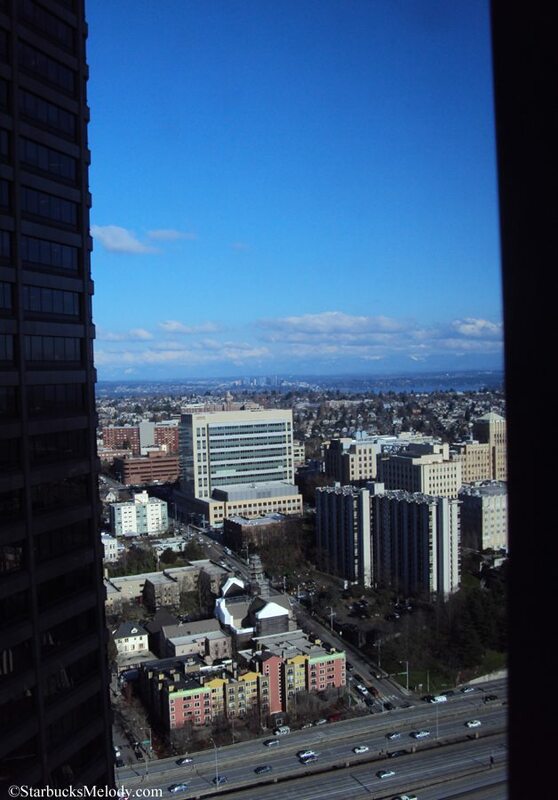 My fear of heights is limited by my love for Starbucks/coffee. @Hayley – I got that email w/ the 50% off any 1 handcrafted beverage (limit 1 time use). 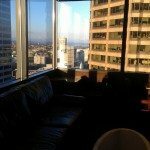 Are there any other Starbucks located high up in office buildings or in the middle (vertically) of other types of facilities, in a place generally not thought of as publicly accessible? @Hayley – I didn’t get one, but I have several customers who did. I actually just got a 50% off refresher coupon in my gold card reward history. Every week, there will be new discount codes pushed to select gold card members (no idea how or why they’re chosen – I almost exclusively drink espresso bevvies and rarely get a refresher, but whatever…I can always treat a friend :)) I *think* this is what they were talking about in terms of making the gold program more flexible and adding more value in elsewhere. Each code has an expiry date, and can only be used once (barista punches in code and then it prompts them to scan the card). 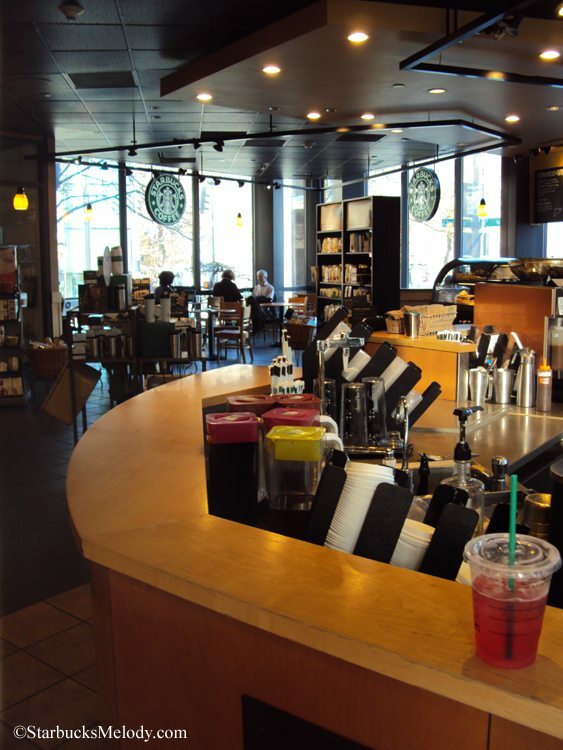 Okay, I just commented on your last post and said that I was jealous because we didnt get all the products you guys did at starbucks but now I am comparing locations and you made my envy even wost, I think I might have to pay the US a visit! @ Rebecca – Did I read that correctly? Are these coupons & such going to be a regular weekly thing for certain Gold card members? 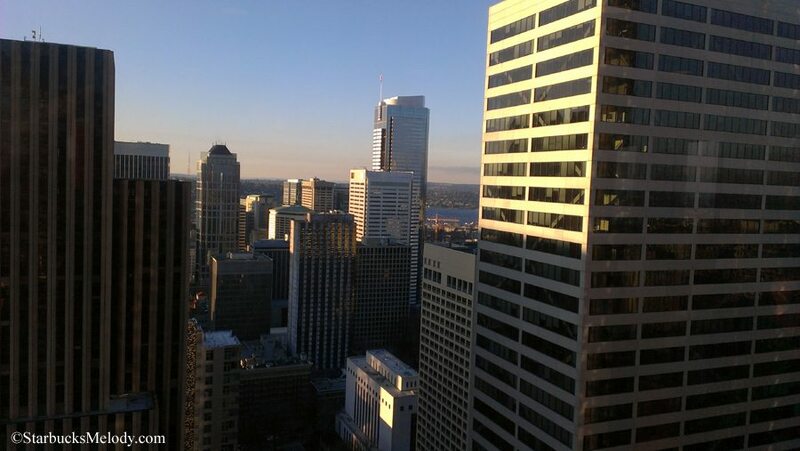 The thing of it is, Seattle is a very photogenic city. 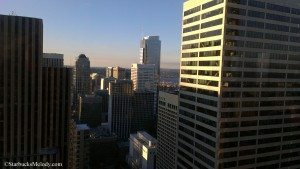 Nice tall buildings, and the Puget Sound and Lake Washington make for lovely sights! (yes, I apologize that I have a crazy strong Seattle bias). @Rebecca – Love the weekly discounts. I’ve not received any yet – One person forwarded one for 50% off a hand-crafted beverage, and I just used it this afternoon. I think it’s one code per Starbucks.com/card profile, if you know what I mean – assuming you have that code. @Melody – I’m curious – you didn’t get the offer on your profile but were able to redeem anyways? @Rebecca – Thanks, it’ll be a nice little reward to look forward to. I’m sure they will be changing it up every time (a deal for a panini one time, maybe a pastry the next, ironically free syrup/milk upgrade the time after that-ha, etc. etc.) since it’s here to stay. @Rebecca – Once in a while, people come to MSI and write things like “Make it easier to know you have rewards,” and I kind of see where that comes from. The Android app really isn’t that great. I think I’ll try uninstalling and re-installing because mine seems to be stuck on January rewards, and is not updating beyond that. If I received an email about the 50% of drink, I missed it. I find it’s easy to miss an email now and then. And then when you log into Starbucks.com, for me I always have to refresh the rewards page a couple of times to get it to load the details. There is a new hover feature at your sign in name that tells you how many free drink/food rewards you have, and that helps a lot! So, I loaded up my rewards page. Because of the current at-home coffee promotion, I have definitely been earning a lot of stars this month – the bonus stars help. I had bought an enormous amount of coffee and sent it to the guy who designed my new masthead logo – He is no where near a Starbucks – any Starbucks that is! Much to my surprise, I realized that I should have received the email for 50% off, and it is somehow still showing as available???? That’s very weird. And, there’s already a reward awaiting me for the 20th. 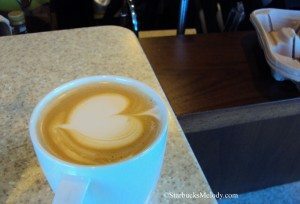 Free tall macchiato on the 20th! Melody, I’d totally respond to your comment, but I can’t see it anymore – only part of it in the sidebar, and then when i click on the post, no comments. Assuming its the new commenting system at work, so I’m posting this comment in the hopes it’ll magically make the other ones show up. Old comments are still being imported! Sorry for the inconvenience. It’ll all be worth it–I promise! Hi Rebecca – Hopefully comments will return soon. My blog is changing over to the Disqus system of managing comments. That will give people the flexibility to log in through Facebook or Twitter, and show “reactions” to. Disqus imports all the comments into their database. I am not totally sure I understand that, but in any event, it apparently can take a full 24 hours for the comments to be imported, meaning that they don’t show up during that 24 hours. I hope StarbucksMelody.com didn’t tilt them! 😉 Over the course of 3 and a half years, the blog had managed to have roughly about 20,000 comments on it. And for that, I owe my readers huge thank you! Basically, I realized that I did have rewards waiting for me, including one that has a date of 3/20 on it. I had to log into Starbucks.com/card to see them all. My Android app is not consistent – I had to uninstall it, then re-install it, to get all the rewards to show. There is a part of me that feels for the people who complain on MSI, “make it easier to track rewards.” There is some truth to that. If I didn’t have a smart phone at all, the new reward system would actually be a bit frustrating. That’s a lot of comment love 🙂 yay! And I have a Blackberry, so I don’t have a fancy phone app, so I actually agree with some of the feedback, because, even though I work there 5 (or 6, lol) days a week, I have let a reward expire. 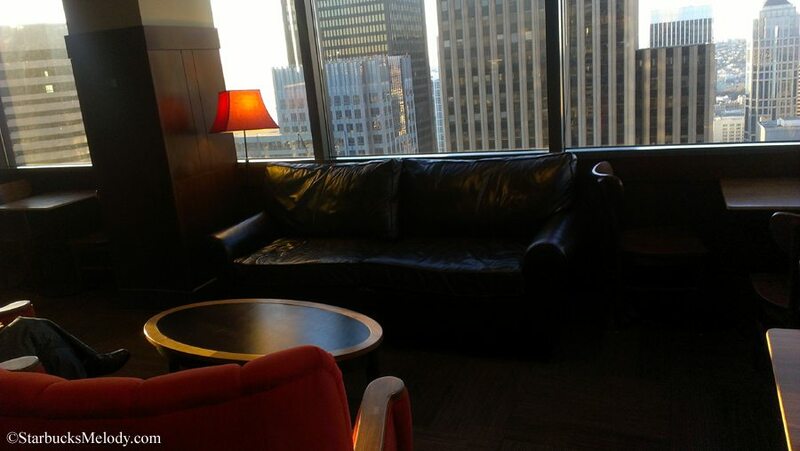 So, in an environment where Starbucks isn’t in your face all day everyday, it would be easy to forget. 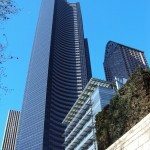 When I visited the Columbia Center (at Melody’s recommendation), it became the highlight of my visit to Seattle. The 40th story store number is near 10800, so it was designed very much like the store that I worked at, but it had such a breathtaking view of the area, and it was so relaxing and surreal. I loved that store. 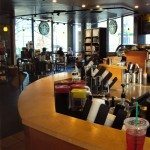 And Starbucks 101 is incredible as well! The layout of the double bar there has been a recurring dream of mine. The pitcher rinser in the middle is so convenient for the baristas!